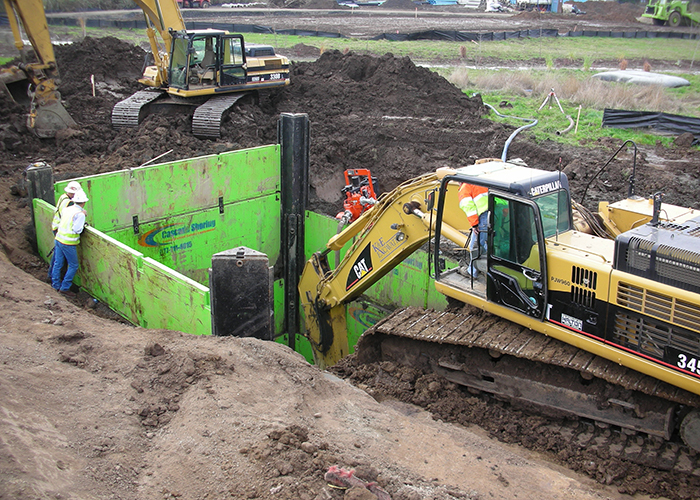 A Slide Rail System can be installed with an excavator and a small crew. 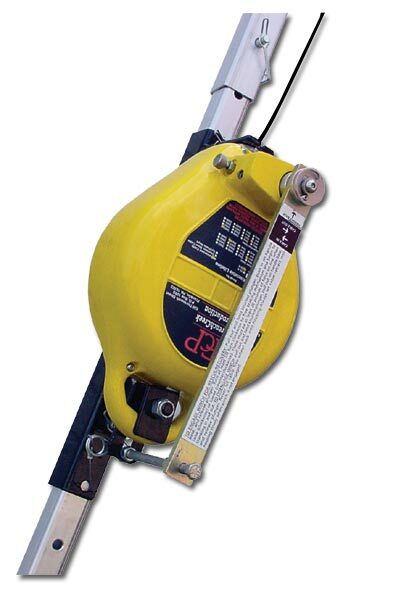 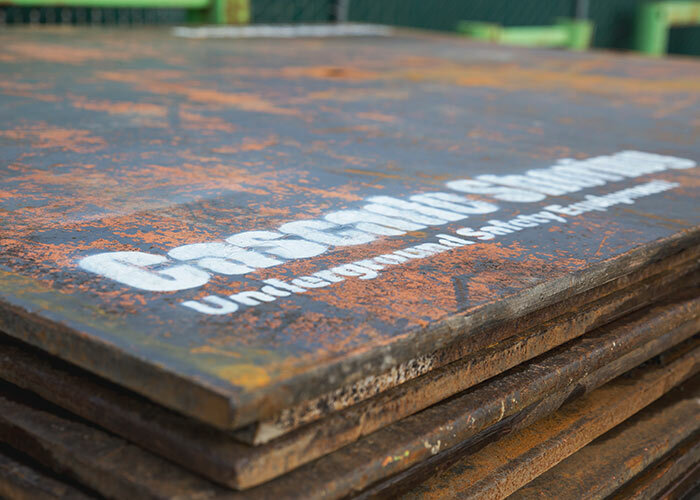 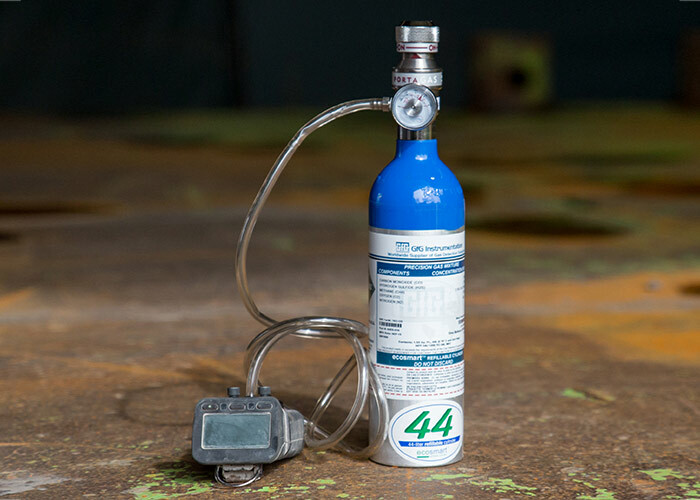 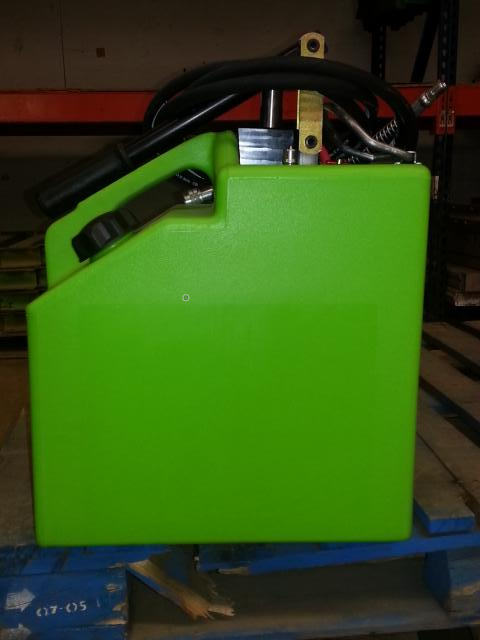 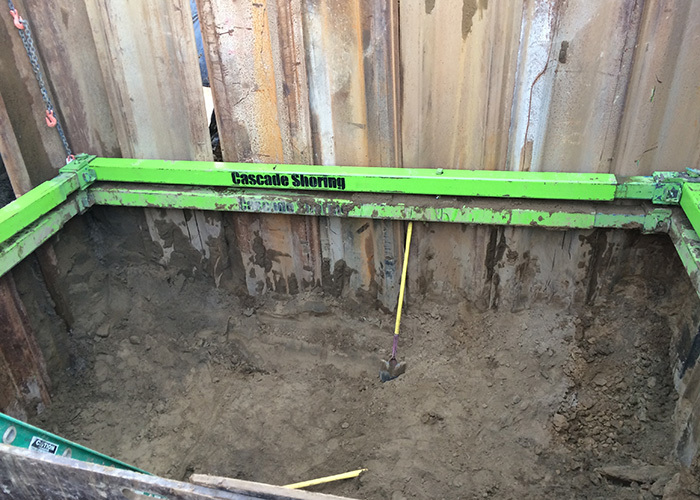 We know the equipment; call us to help with your pit! 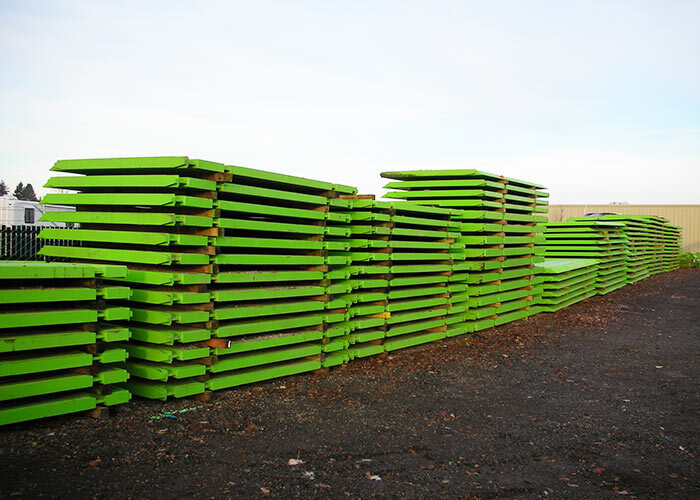 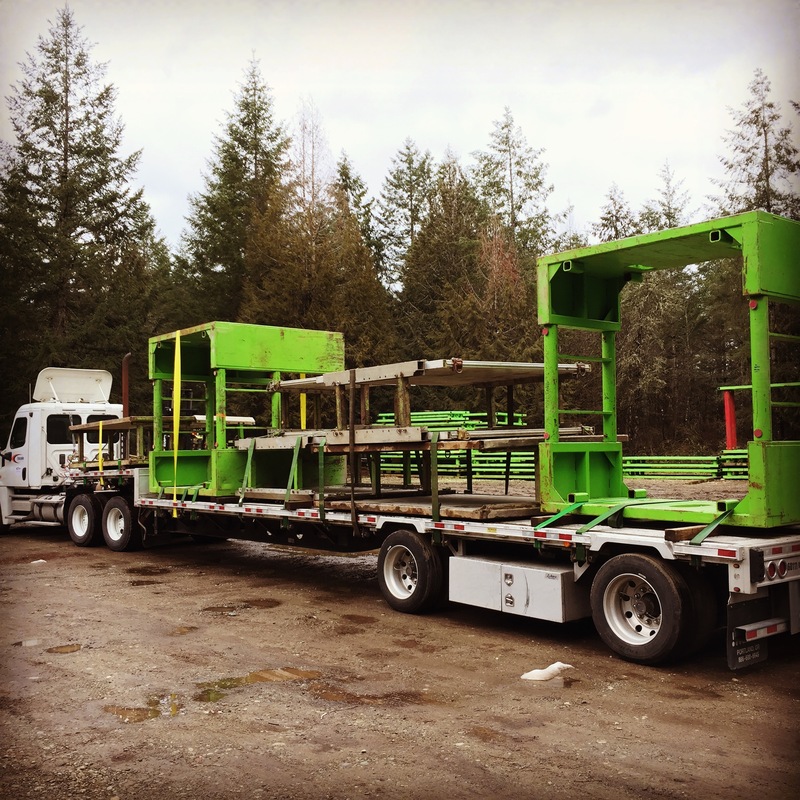 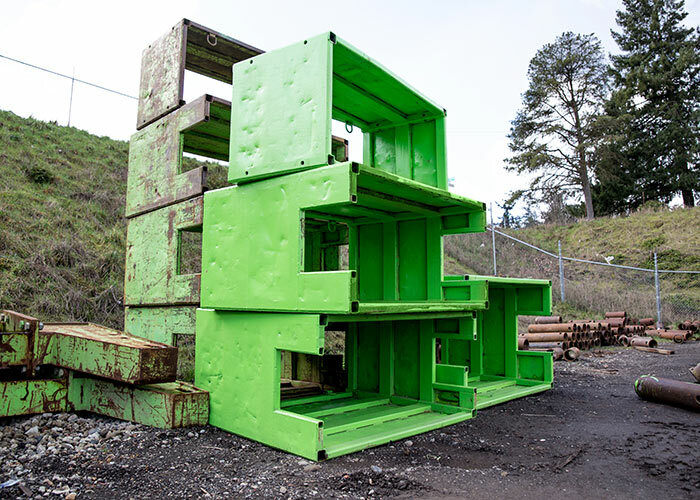 Slide Rail is typically installed faster than sheet pile or beam and plate systems. 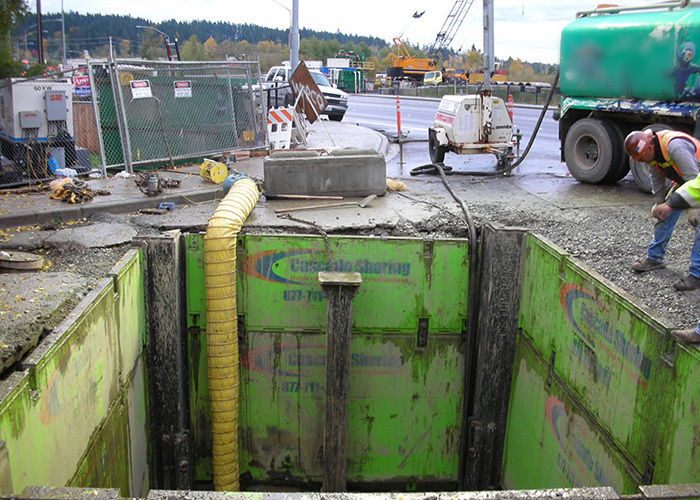 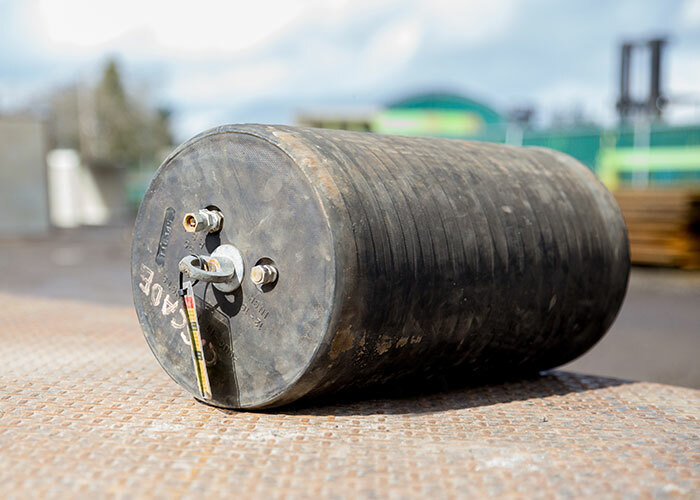 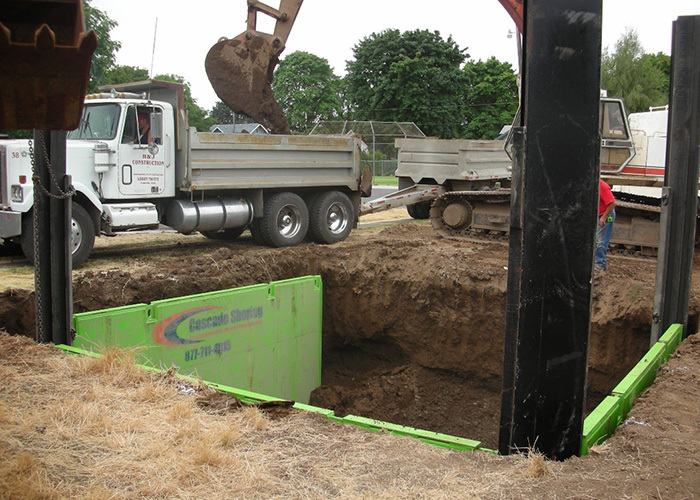 This dig and push system allows low vibration installation and provides soil support for excavations, adjacent structures and existing utilities. 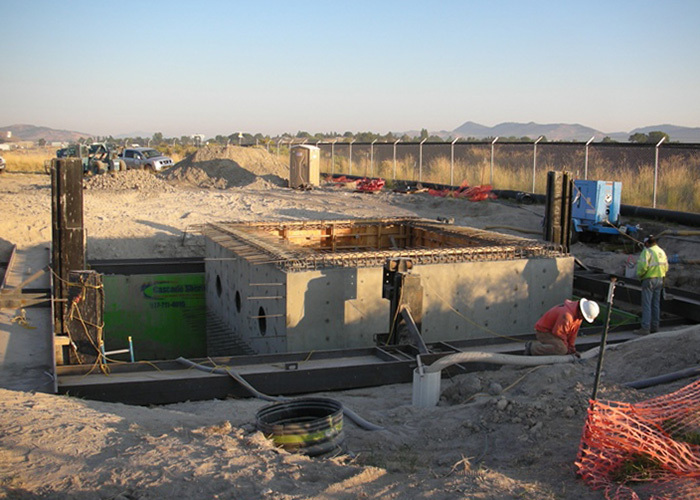 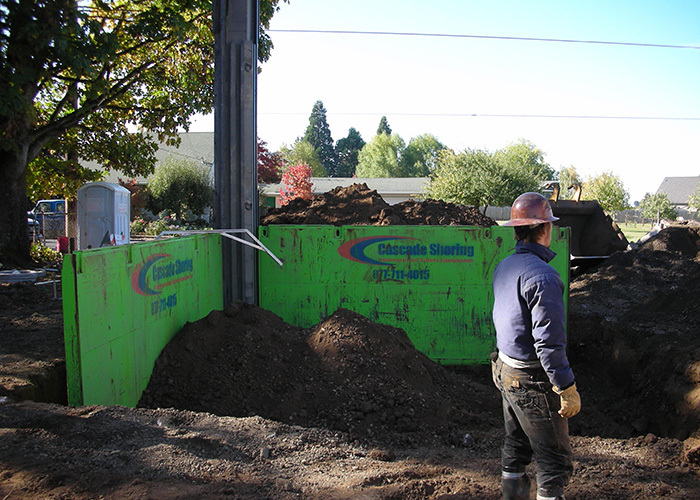 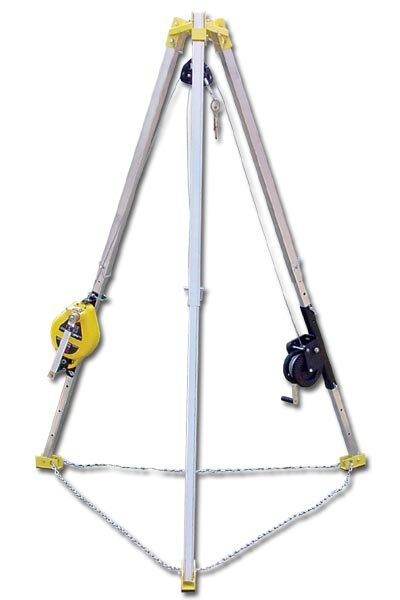 This cost effective shoring system is installed from the top down and removed from the bottom up. 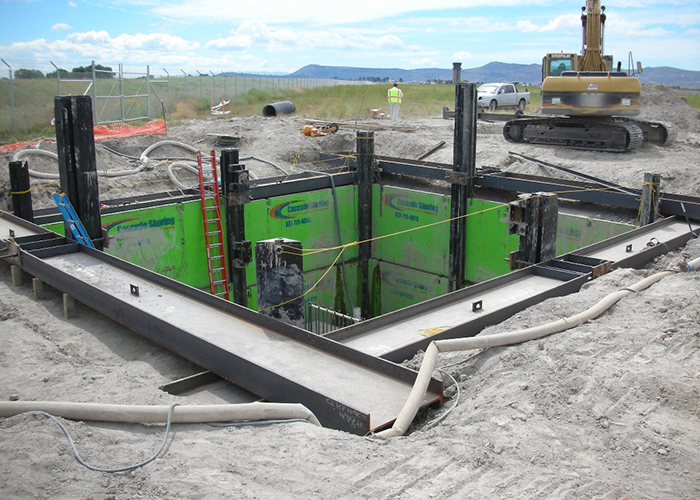 During the removal process, each panel is lifted up independently of the rest of the system as back filling and compaction proceed. 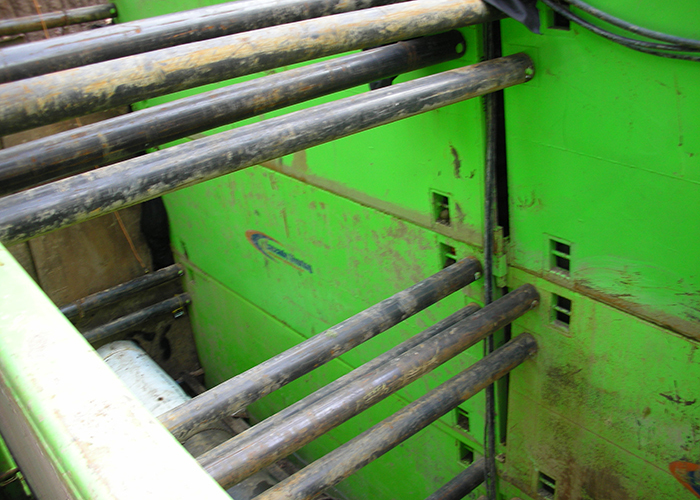 Slide Rail Systems are ideal for tanks, pump stations, bore pits and difficult structures in poor soils. 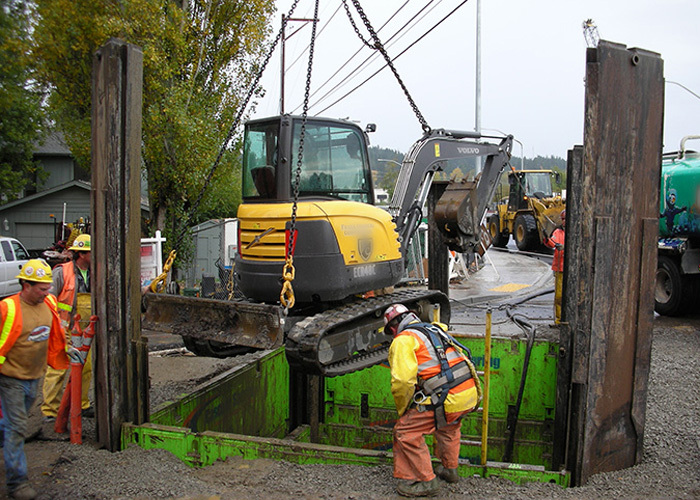 Talk to an expert about safety planning.